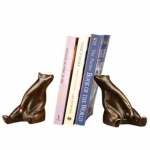 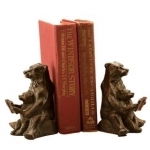 Bear Bookends - Click on an item for more details! 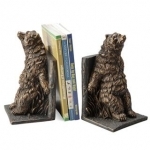 Set of 2! 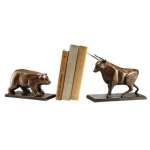 These Double Bull Bookends are made of brass with stunning detail and marbleized finish. 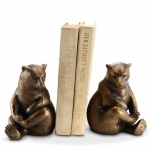 6 inches tall.